Are you looking for a physical therapist in Bergen County, NJ? 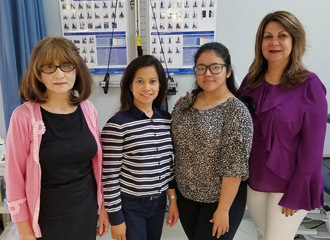 Complete Care Physical Therapy is an individualized physical therapist in Bergen County, NJ helping you achieve inspiring results. Our physical therapy practice is owned and operated by dedicated Physical Therapists who have been practicing since 1996. This means that you will receive specialized care from knowledgeable, experienced professionals who understand your unique circumstance. At Complete Care Physical Therapy, we espouse a hands-on, one-on-one approach where the needs of our patients come first. We provide personal care, first and foremost pursuing the optimal function level of our patients. Our team of dedicated Physical Therapists are here to preserve and restore function after an injury or post-surgery. Our passionate team of physical therapists are as determined as you are to restore your health, function, and quality of living. We achieve this by monitoring and evaluating our physical therapy treatment methods, evolving our practices and methods as innovation and technological advances allow us to. Because we seek optimal results in all of our patients, we ensure the quality of our services over the quantity of clients we assist. This method allows us to focus on you and your progress, creating individualized physical therapy treatments tailored to your unique condition, taking into account your age, lifestyle, medical conditions, and energy levels to promote healthy recovery. For more information about our physical therapist in Bergen County, NJ, call Complete Care Physical Therapy at (201) 773-0404.